These two-tone coffee mugs put your logo in the limelight. 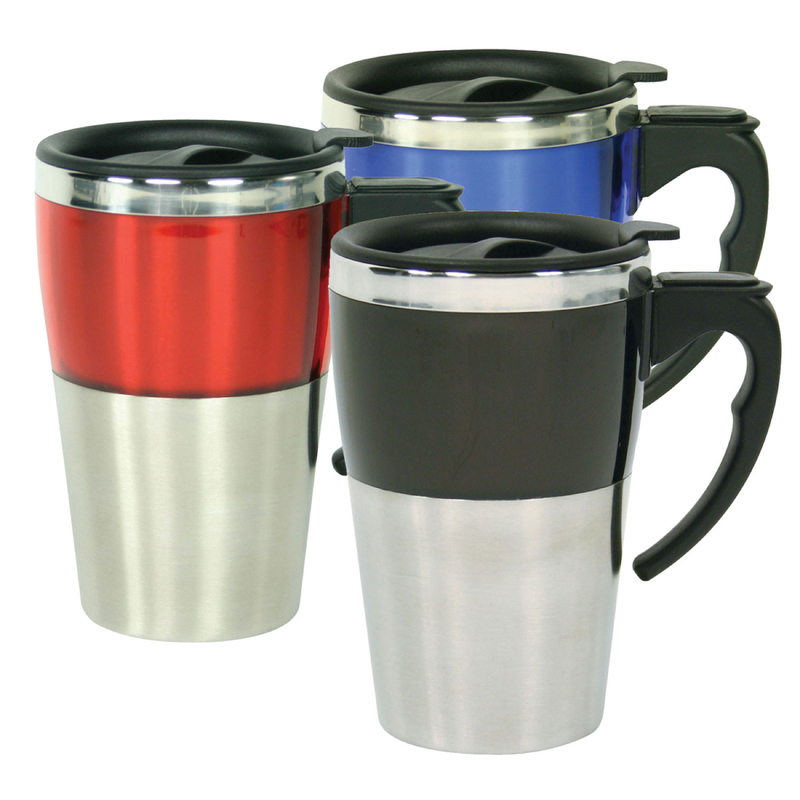 With a two-tone design these travel mugs stand out and get noticed - offering prime real-estate for your logo. They're made from stainless steel (both inner and outer wall) with coloured ABS plastic casing and a 350mL capacity. 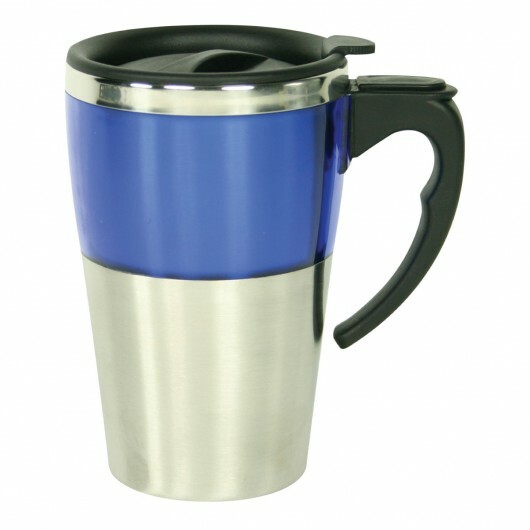 Other features include: a sturdy handle with thumb rest, twist action open/close spill resistant sipper. A great gift that will not go unnoticed.